CSI and our clients believe that we have the best installers in the industry; our pallet rack installers are exceptional. CSI does installations across the continental United States. 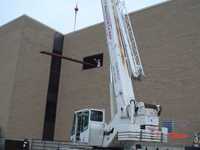 If you are looking for an installation in Illinois, Wisconsin, Minnesota, Indiana, or Iowa, CSI is the logical choice. Contact us and learn how we can assist. A lot of companies can sell material handling equipment. Few have the competence to assist the customer in achieving their objectives like CSI. Fewer still have the experience and competence with the installation / implementation of material handling equipment like CSI. We believe that Container Systems (CSI) has the best pallet rack installers in the industry. CSI’s pallet rack installers have completed thousands of successful installs. 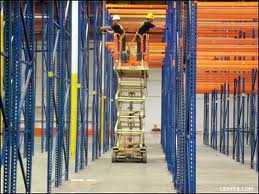 Our professional installers are not only accomplished and experienced with pallet rack installation. We are exceptional with mezzanine installation, inplant office installation, safety & security equipment installation, metal and wire shelving installation, locker installation, and other material handling equipment installation such as scissor lift and dock equipment installation. Container Systems can bring your material handling project to life, so it can begin achieving its purpose and providing increased profitability. If you are considering a project that requires installation, you owe it to yourself and your organization to contact us. If you are considering a material handling equipment installation in Chicago, Illinois, Wisconsin, Indiana, the Mid-West states CSI is the logical choice. CSI is the safe choice. When it comes to these installation services we and our customers consider us the best in the market. Contact us! Put us in service to you!